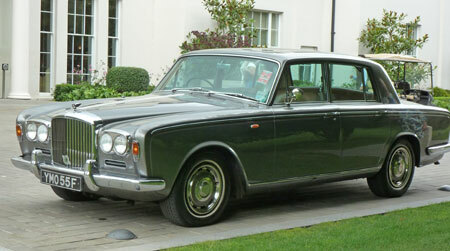 Classic and modern Bentley wedding car hire in London, Kent, Hampshire, Surrey & Sussex. Harveys Wedding Cars will make your perfect day just that extra bit special. We know from our experience over more than 20 years that every wedding is different, because you are unique. We will always go that little bit further to ensure that we provide exactly the kind of wedding car hire service that you are looking for. Let our chauffeur help you in any possible way that he can, he is there at your service for the day. We provide everything that you need, so that you can completely relax. You are safe in the knowledge that your arrival is not only assured to be one of great style and grace, but also conducted in a professional and efficient manner. You can choose your car from our fleet of classic Bentleys ranging from the early 1950s to the late 1990s, all of them providing an effortless, smooth and quiet journey with a roomy and luxurious interior. We also offer a modern S Class Mercedes. Harveys Wedding Cars operate from our base in Reigate covering an area which includes such towns as Billinghurst, Brighton, Burgess Hill, Crawley, Crowborough, Croydon, Cuckfield, Dorking, East Grinstead, Farnham, Gatwick, Godstone, Goodwood, Guildford, Haywards Heath, Horley, Hove, Kenley, Midhurst, Newick, Oxted, Sevenoaks, Staines, Tunbridge Wells, Westerham, Worthing, Richmond & Reigate as well as parts of London.